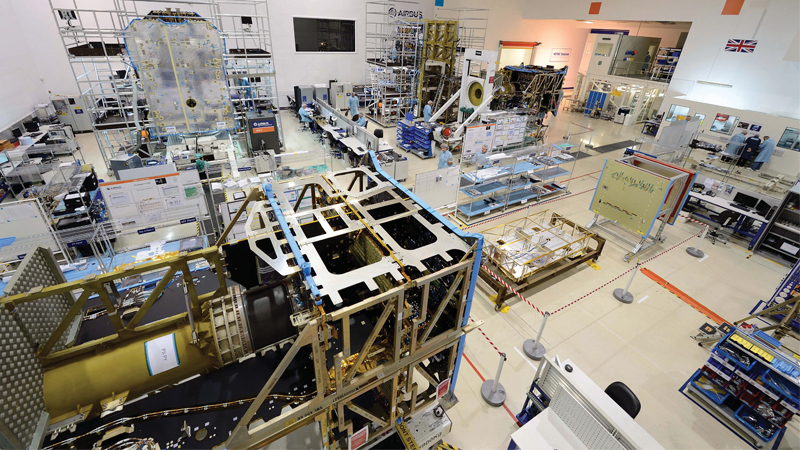 Cleanrooms for satellite construction are busier than ever; 2,000 satellites will be launched over the current decade. It is anticipated that 300 satellites with a mass of more than 50 kg will be sent to space on average each year to 2026 by government agencies and commercial organisations worldwide; a threefold increase over the past decade. The market is also experiencing a profound shift. The introduction of small satellites (cubesats or nanosats) and the linking of several small satellites to provide constellations, as well as the development of new mass production techniques, is changing the way satellites are built. 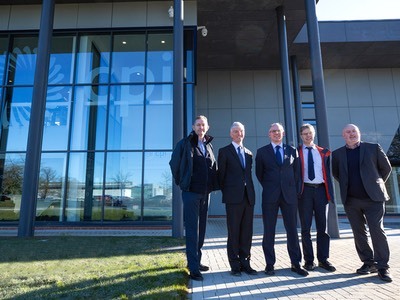 The unveiling of the revolutionary Eutelsat Quantum satellite at Airbus’ cleanroom in Portsmouth, UK, confirms this trend. 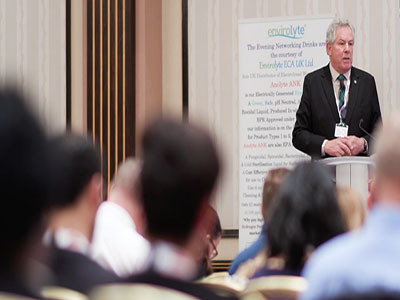 Attending this exclusive event, CT learned that while the video market for satellites has matured there is new growth in “connectivity” to provide broadband services to remote places as well as offering mobile connection to boats and aeroplanes. 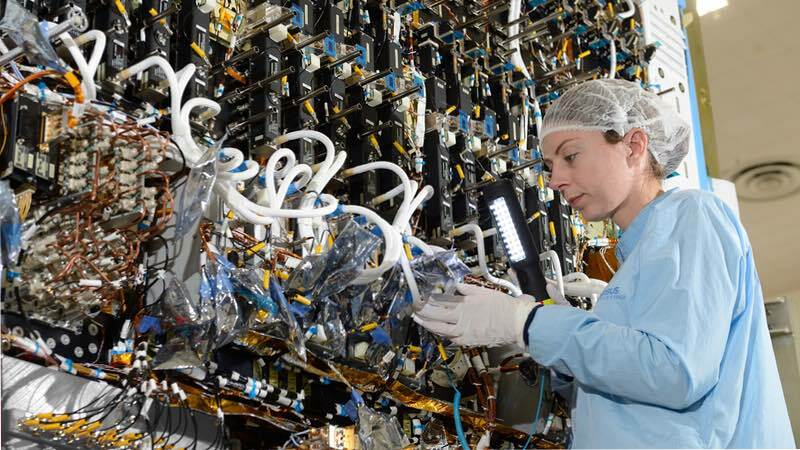 The Eutelsat Quantum telecoms satellite, manufactured by Airbus and Surrey Satellite Technology Ltd (SSTL), is the world’s first geostationary telecoms satellite that will be fully reconfigurable in orbit. Scheduled for launch in 2019, Eutelsat Quantum will be able to adapt to new demands in coverage, bandwidth, power, frequency configurability and even change its orbital position. Yohann Leroy, deputy CEO and CTO at Eutelsat, explains: “Combining flexibility and performance, Eutelsat Quantum will bring a truly revolutionary shift to the commercial telecoms satellite sector to meet the multiple and evolving needs of our customers.” Traditionally, large satellites comprise a bus – a vehicle that gets it into orbit –	and the payload, customised to the client’s application needs. Production is a painstaking process that can take years. 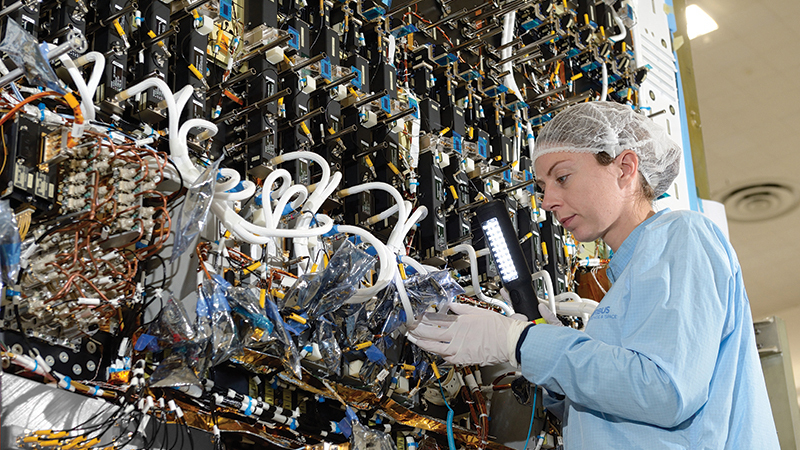 For this process, Airbus UK has cleanrooms in Stevenage and Portsmouth, the latter being where the payload for the Eutelsat Quantum is assembled and tested. The bus and payload are then integrated and tested in Toulouse, France, before final launch. 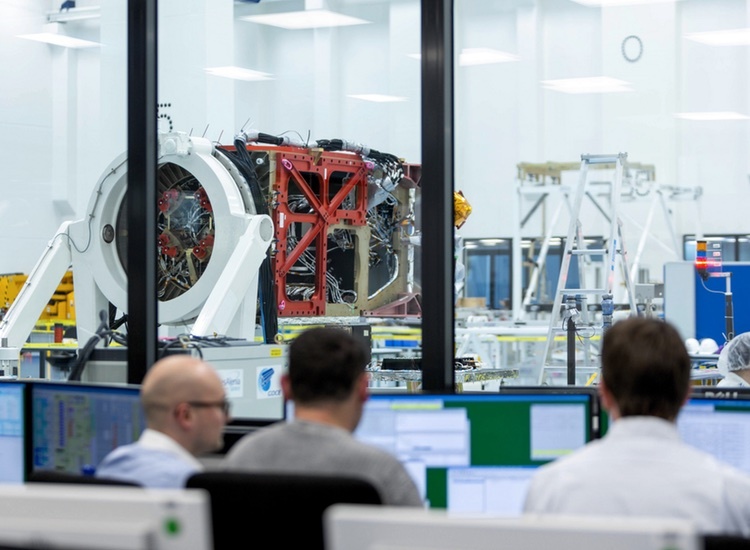 According to Mark Elvidge, Airbus UK head of satellite manufacture assembly integration and testing, mission critical satellites currently have an average lifespan of around 15-18 years and, once in orbit, they need to perform complex tasks using sensitive instruments. Sending spares or replacements is not an option, so every effort is made to minimise the chance of material or component failure. 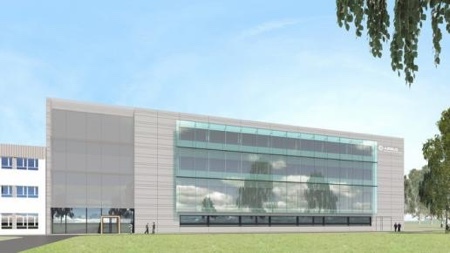 Airbus has cleanrooms that vary from ISO Class 8 for communication satellites going into Earth’s orbit, to ISO Class 3 (at Stevenage) for exploratory spacecraft for planetary missions. These have to be sterile to avoid the transfer of organisms to other planets. A defined cleanliness threshold is established before the spacecraft’s launch approval is granted. These thresholds must be in line with COSPAR Planetary Protection Policy, provided in the US by the NASA Planetary Protection Office or the European Cooperation for Space Standardisation (ECSS) in Europe. Any particles or residue on a component part of a satellite or spacecraft has the potential to degrade the performance of the system. This is particularly important where optics play a major part in the payload. Lens specifications for satellite systems are so exact that dust or debris has the potential to cut performance significantly. Similarly, particles or residue on the surfaces of blankets or mirrors have the potential to absorb or reflect heat in space, which could affect performance. 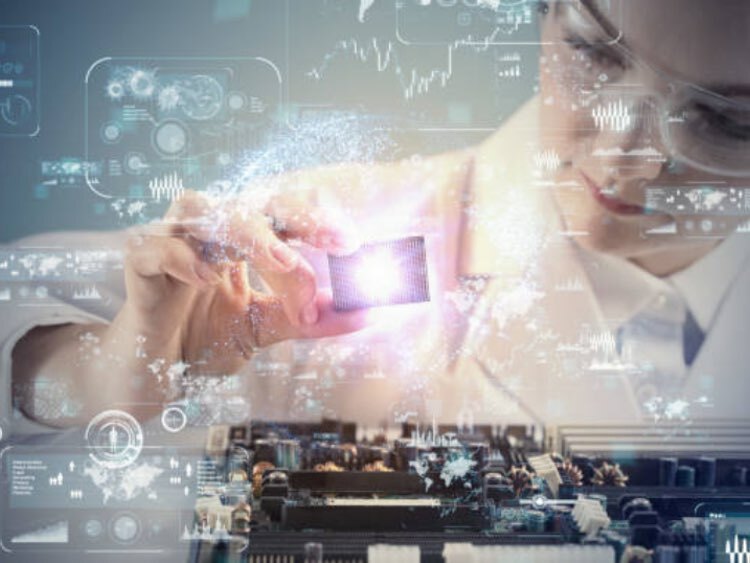 Particles could also corrode and affect the complex electronics potentially disabling moving parts or other operational devices. 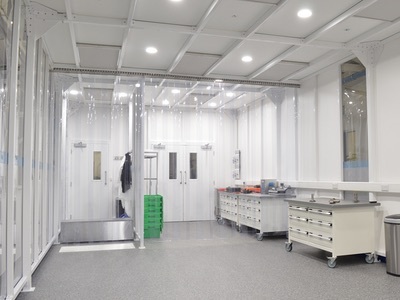 The cleanroom, therefore, filters out unwanted particles by feeding in HEPA-filtered air in through air vents and drawing away dirty air through floor-level vents. The cleanrooms are also kept at a positive pressure with air locks that prevent the ingress of outside air. Anyone entering the cleanroom must be suitably gowned. Airbus workers use reusable laundered gowns along with disposable hairnets, beard snoods and shoe covers. Gloves are also worn to protect components from human oils and dead skin particles that could be corrosive to some surface materials. Tacky mats are used on some floors in heavy traffic areas to trap particles and debris. The prevention of electrostatic forces and discharges (ESD) within the cleanroom is also important; these can attract dust to satellite components. An ESD event may cause a metal melt, junction breakdown or oxide failure, damaging circuitry. Static charge may also accumulate on a ESD-sensitive item through handling or contact with packaging materials, work surfaces, or machine surfaces. The ESD Association industry standards offer a guide to manufacturers establishing static charge mitigation and control techniques. The human body can be a conductor of static. Anti-static gowns are designed with special interwoven threads that ground electrons, preventing static from accumulating on surfaces. Conductors commonly used for grounding electrons are aluminium and carbon. The cleanroom floor may be used as a primary ground or earth for people. Alternatively a static dissipative floor might be used along with the use of wrist straps, another means of grounding personnel. At Airbus Portsmouth, the workers use wrist straps that earth them to a cable on the payload when working on the electronics. Use of metals is another factor to consider. 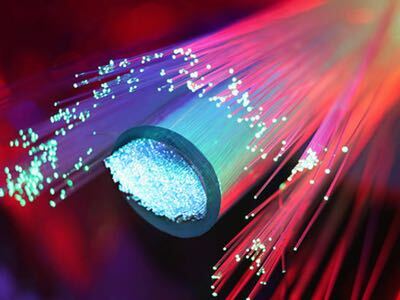 Metal whiskering – a crystalline metallurgical phenomenon that involves the spontaneous growth of tiny, filiform hairs from a metallic surface – can cause short circuits and arcing in electrical equipment hence must be avoided. It has been argued that the Galaxy IV telecommunications satellite was disabled and lost due to short circuits caused by tin whiskers in 1998. At Airbus Portsmouth, much of the structure supporting the payload is aluminium-coated to avoid oxidation. Tools are also coated and are all CE marked. Equipment is tested to ensure it is not emitting radiation at the frequency used by the satellite, to avoid any electronic interference. Electric vehicles used inside the cleanroom for heavy lifting or transfer have specially designed clean wheels and ESD grounding. Airbus keeps its cleanroom HVAC operational 24/7 and workers are trained in cleanroom procedures. The staff use mobile equipment to monitor particle counts. When a satellite payload enters or leaves the cleanroom, it is left for 24 hours to rebalance the temperature, pressure and air cleanliness. Condensation on components is another undesirable in the cleanroom. The number of people working in the cleanroom at any one time is limited, so as not to change that balance. At the Airbus Portsmouth cleanroom, silicone sealants are handled in separate containment cubicles within a separate cleanroom area. Unrestricted use could lead to component bonding problems. As little as half a mono-layer coverage of silicone on a surface can cause severe reduction in bond strength and trace amounts of silicone can cause primers, paints or other coatings to separate and lose adhesion. Outgassing, the release of volatiles from materials, can also be a potential problem, therefore materials such as plastics need to be tested for suitability prior to use in the cleanroom. The hard vacuum of space (10-6 to 10-9 torr) will cause molecules to outgass and deposit on surfaces, particularly on cold surfaces, which could affect the properties of vehicle and payload surfaces. Increases in demand are driving companies to look at production lines and automation to speed up the build process, and reduce costs. 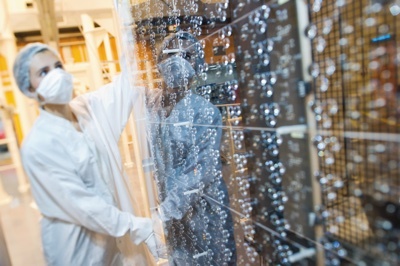 As most satellite production takes place in cleanrooms, this change to mass production, could change drastically the design and build of cleanrooms in the future. Many of the large players are already building large flexible facilities for “production line” satellite manufacture. In such a scenario robotics will most likely play a larger role. Satellite builders are gearing up for other changes. Companies such as Aerojet Rocketdyne are looking at the possibility of manufacturing microsatellites from metal and composites using 3D printing. However, 3D printing brings its own hazards that can arise during application of heat to raw materials during the printing process. This means it should be carried out in a controlled environment. VOCs from 3D printers include harmful chemicals such as styrene (a carcinogen) and caprolactam (an acute risk molecule). Undoubtedly, contamination controlled environments will continue to be important for the satellite industry well into the future.